Should We Look Favorably on Ancient Rome? In Livy and Ovid’s poems about Rome, they have an optimistic view of the situation. Sure, Rome was a mighty empire, but is it worthy of positive review? Perhaps, but perhaps not. 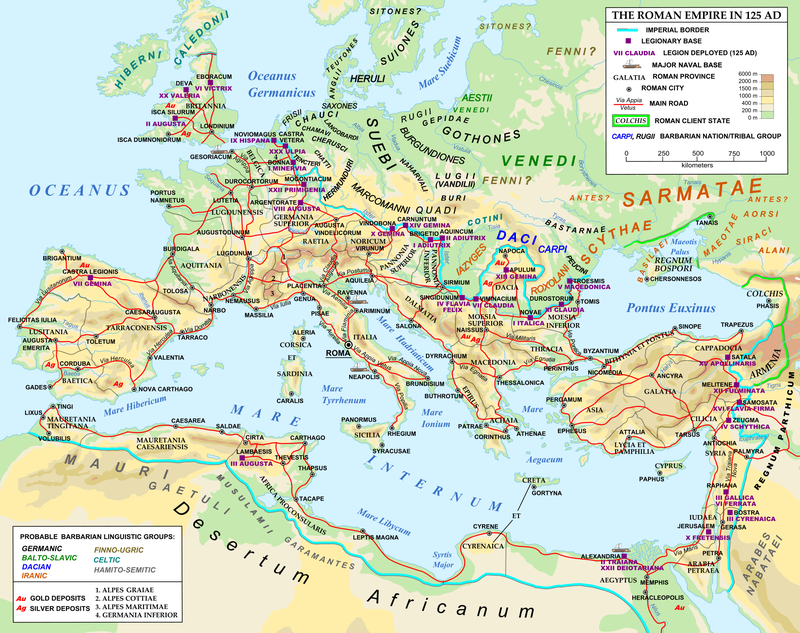 Rome, even at the height of its glory, was a very base and corrupt nation. Its politics were screwed, and the very ones who claimed they were protecting the empire were actually causing its steady downfall. Taxes were always high, and the tax collectors always conniving to get whatever they could for themselves. Such a greedy political structure could not last for long. The Empire relied on loot from the nations it conquered, and when they had bled these dry, they either had to expand further, or collapse as a nation. This ensured the steady advance of the Empire until it could no longer defend its massive borders against those without. As we then come down the social pyramid we meet the wealthy patricians, who kept themselves apart from the lower classes of Romans, and kept large slave holdings. These were the ones mostly running the system, and they always gained in war and peace at the expense of the poor. We then come to the masses; those who made up Rome’s manpower and formed its tax base. They had even lower morals than the patricians, and were always screaming for blood at Rome’s countless arenas, always seeking entertainment given by the wealthy, who were more than willing to bribe the populace with some of their wealth in order to get the people’s support. So, despite the fact that Rome was the mightiest empire that ever existed, most of the time it didn’t have the moral stamina that permits nations to thrive; its economy relied on slaves and loot brought in from conquered peoples; its masses screamed in applause as men forced to fight one another bled to death in honor of some rich patricians wedding or birthday; such were the people that ensured Rome’s demise. Should we look favorably on such a barbaric culture? I think not. Even as we should admire the advancements in writing and building given to Western Civilization by the Romans, we should also spew out its infamy and eternal shame that led to its own inevitable self-damnation.